As we conduct this interview there are numerous interruptions and situations that need immediate responses, queries and issues that arise and need to be resolved on site. 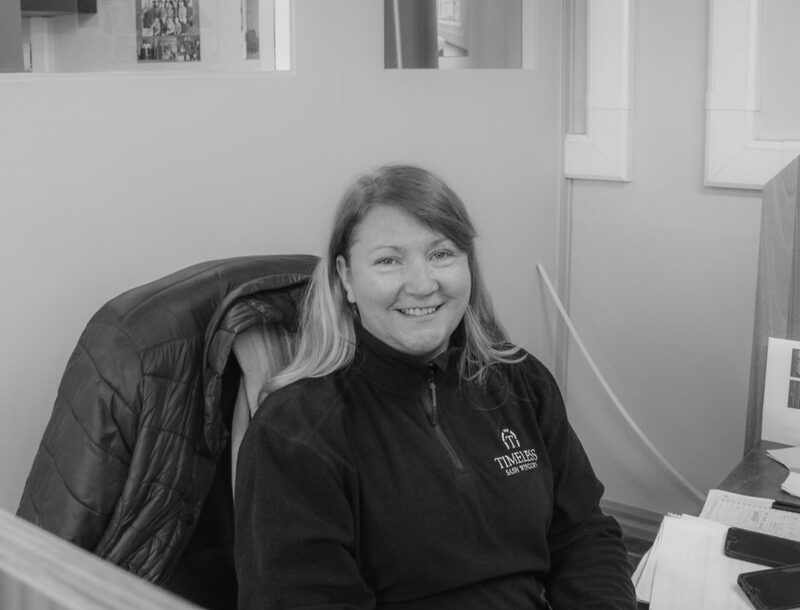 Karen McCarthy is the project coordinator at Timeless Sash Windows and she is a busy lady. Ollie, our production manager, describes Karen as “the cog in the Timeless system – everything works around her. She is smart, funny, intelligent, helpful and brilliant at her job” (Karen has to buy him a drink later now!). As project coordinator, Karen works from our office in Trim, managing between 70-80 projects at any one time. She supports the site project managers, is the link between the factory and the on-site fitters, the liaison with homeowners and builders, and organises the schedules up to 8 weeks in advance. Typically, the sales team are the initial contact with clients. When the job is agreed, there is a handover between Patrick or Pearse to Karen. She will check through the files to ensure that all the details are included, ensuring that the clients wish will be accurately pursued. She then co-ordinates the site survey and measuring and then liaises with the factory, the fitters on-site and finally the painters. largely on Project and Services Management and was initially involved in banking and retail products. She led a team to roll out over 900 free standing ATMs throughout Ireland and the UK and was subsequently head hunted to work in the USA. 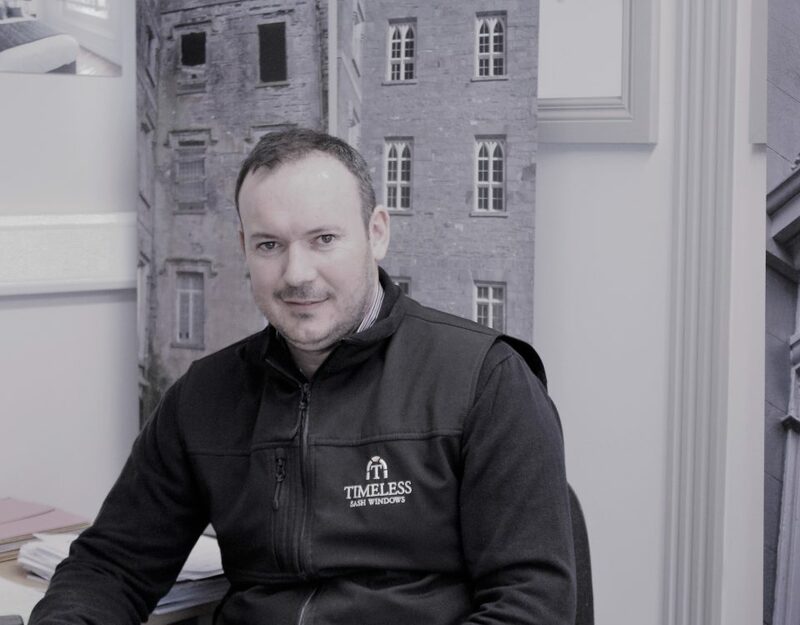 A return to Ireland has seen her working in a Construction & Safety company and for a Biodiesel plant, before coming to work at Timeless Sash Windows more than a year ago. In that time, she has become an indispensable member of the team. 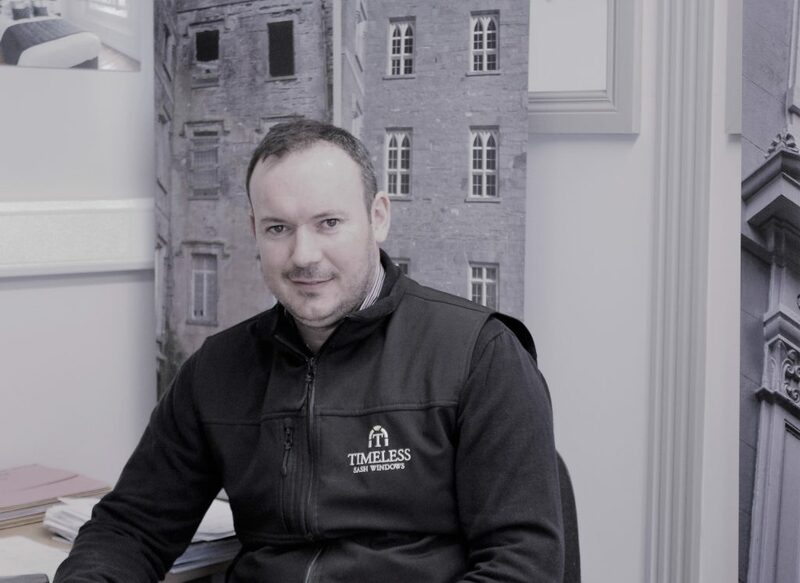 Karen is married to Shane and together they are planning a full renovation of their home in Westmeath – a home that is more than 250 years old. This will give her full scope for a passion in designing interiors.